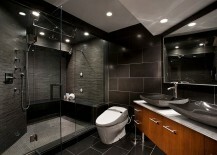 If you are a touch hesitant about picking black as the dominant color for the bathroom, you are definitely not alone. 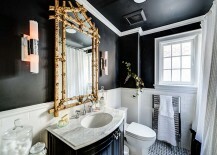 The idea of black being used as the hue that defines and sets the tone for bathroom ambiance is contrary to the popular image of clean, white spa-style bathrooms that grace catalog and magazine covers across the globe. 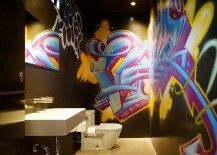 In a way, we have been trained to appreciate bathrooms in lighter, less gaudy hues. 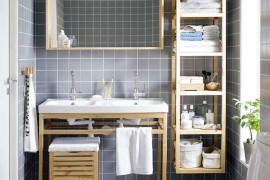 Yet modern designers along with adventurous homeowners are quickly changing that trend. 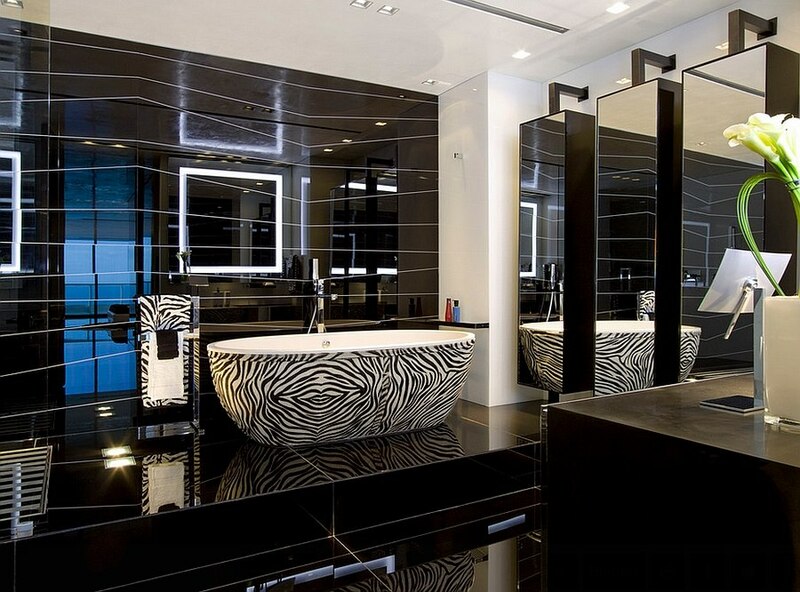 Using black to create a refined interior is both challenging and rewarding. 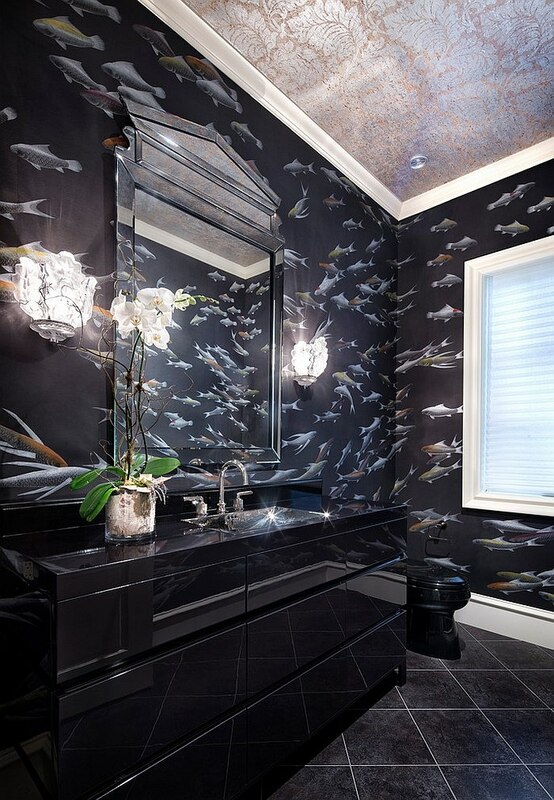 When you get it right, black bathrooms can bring an air of unparalleled sophistication. 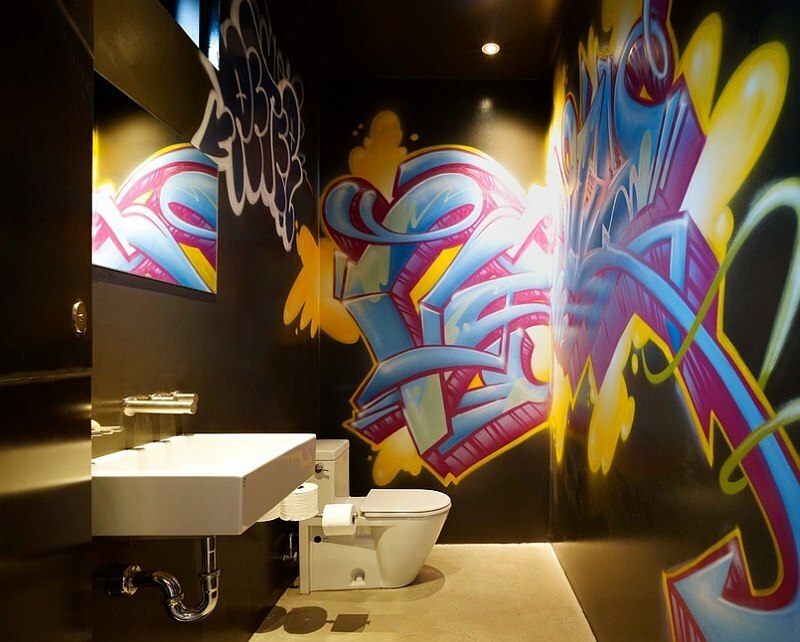 The look works brilliantly well for both small and large bathrooms alike, and all you need is some creativity, the right shade of black and plenty of inspiration. 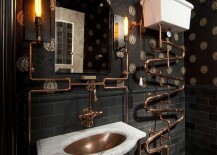 The 20 dashing black bathrooms on display today sure do take care of the last part of that equation! 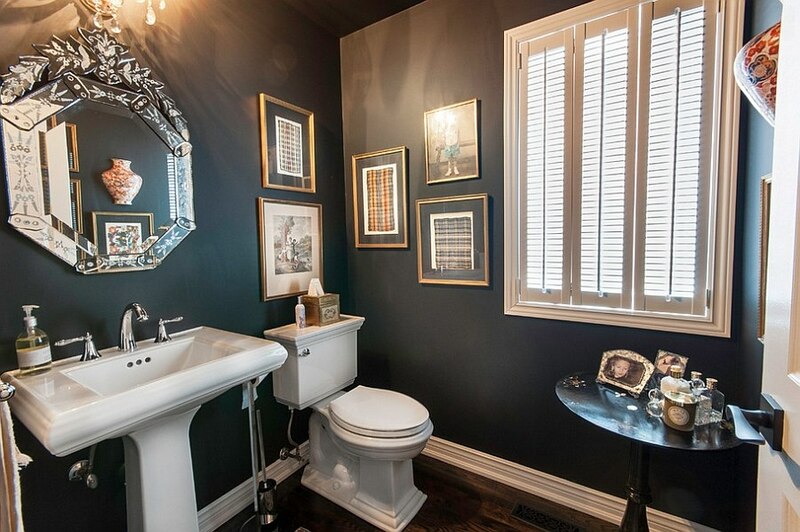 Much like in the case of any other color, there are plenty of diverse shades, hues and tones of black that you can pick from for the bathroom. 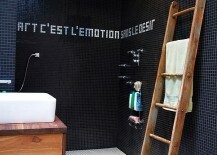 While this sounds all too obvious, try it out on a section of the wall before you commit to the color permanently. 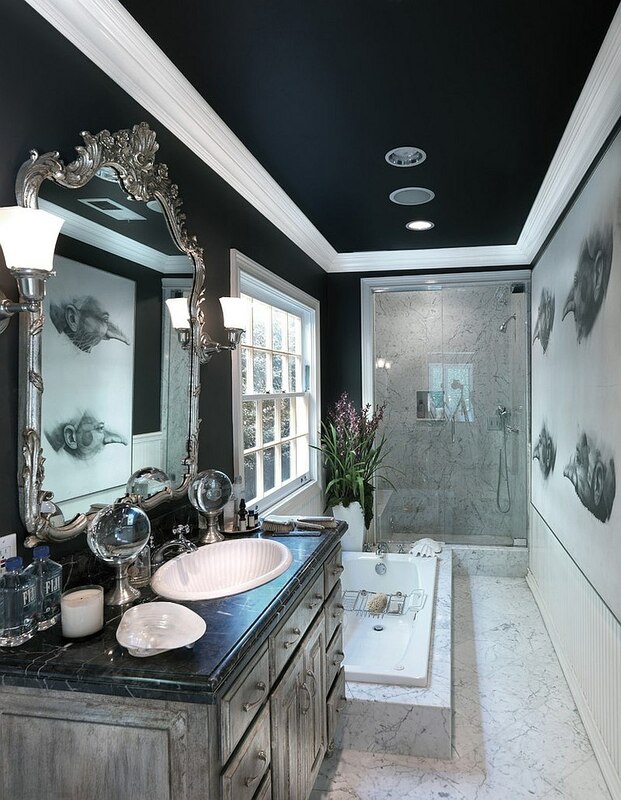 The wrong shade of black can turn a room into a dull, dingy setting, and this is especially true in the case of bathrooms. Once you have picked the shade, it is time to work it into a style of your choice. 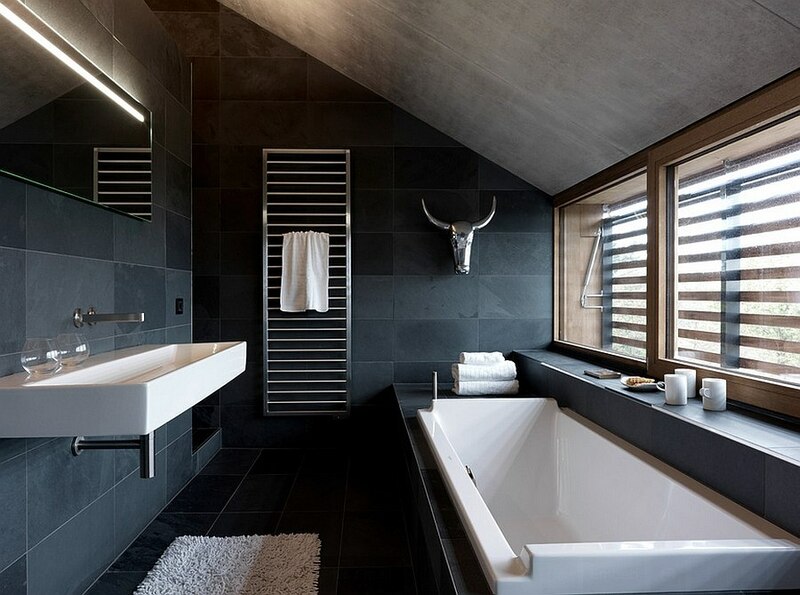 Black works with almost any theme you pick, as the bathrooms below showcase. 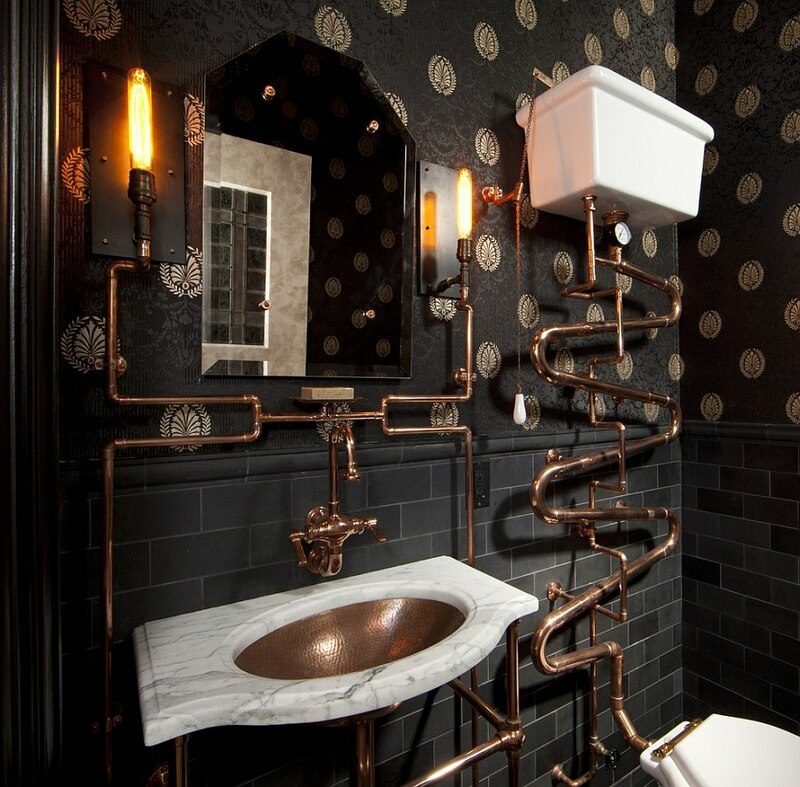 From Steampunk to contemporary and from vintage to Hollywood Regency, the choices are endless. 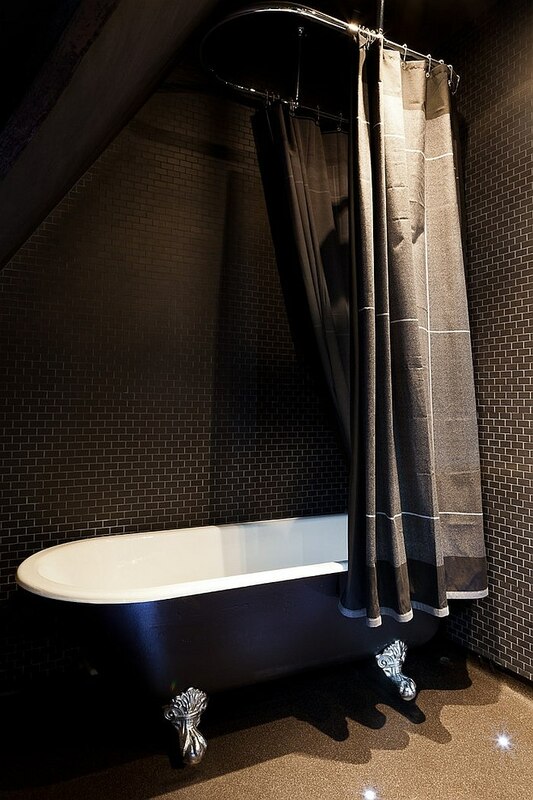 Creating a black backdrop in the bathroom is a lot easier than attempting the same in the bedroom or living room. 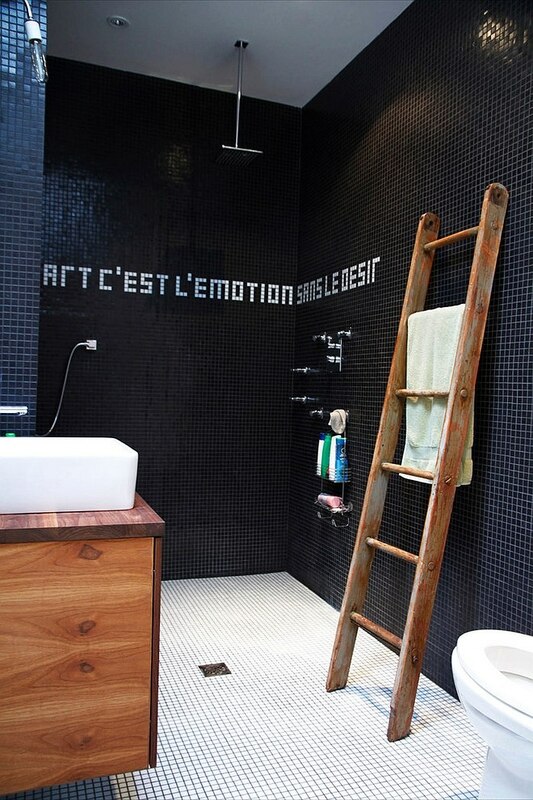 Use the tiles to your advantage and usher in geometric and textural contrast without actually altering the color palette. 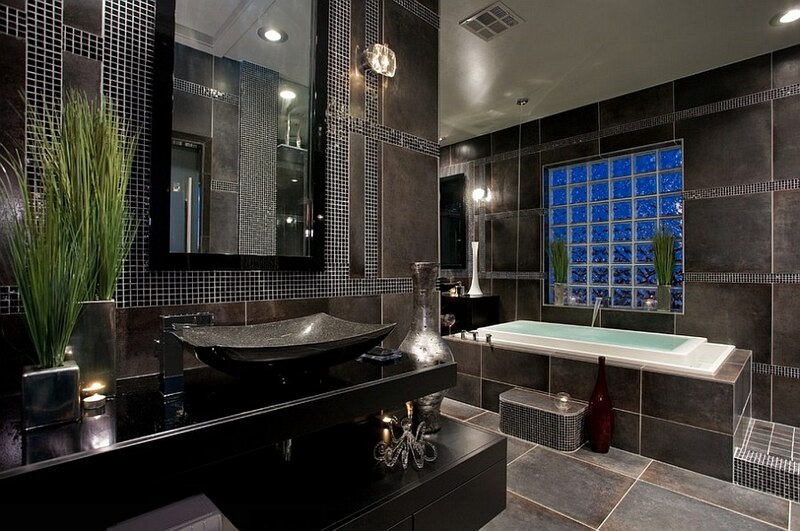 A tiled background in black for the shower or above the vanity will create an instant focal point in the room. 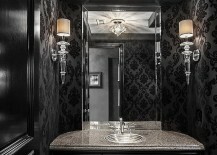 All about Mirrors and Light! 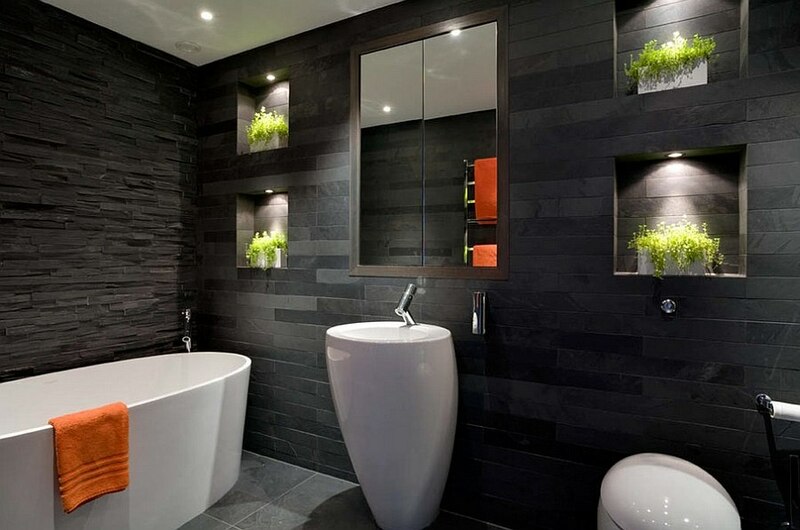 As always, lighting is a key factor in shaping the overall appeal of a room where you have a dominant dark color. 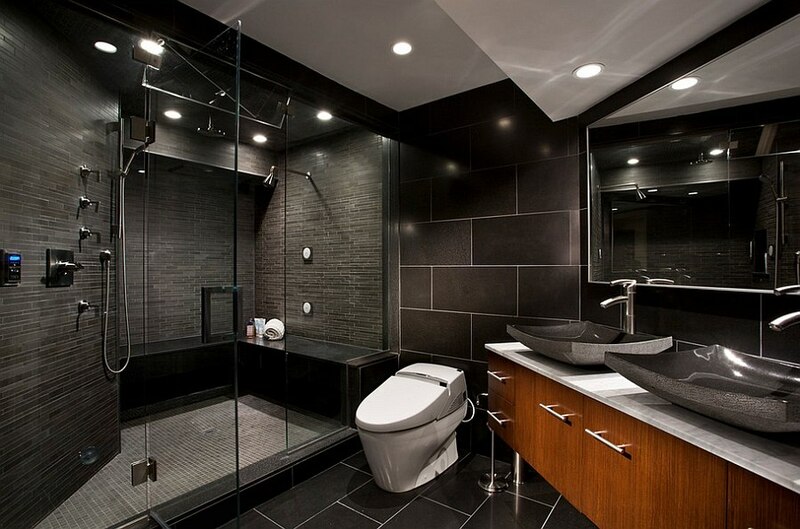 In the case of bathrooms in black, it becomes twice as essential to get it right. 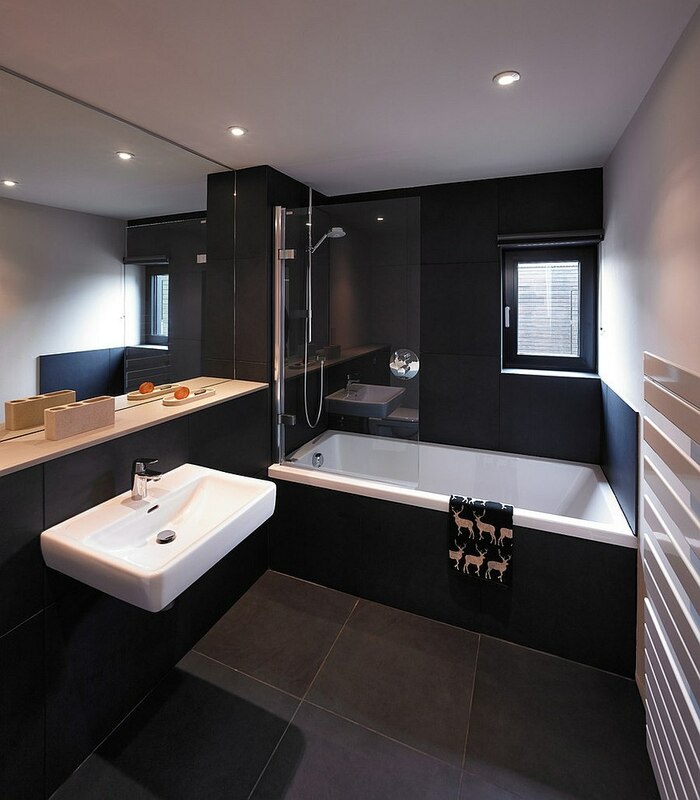 Apart from a smart blend of natural and artificial illumination, make sure that there is ample circulation of light. 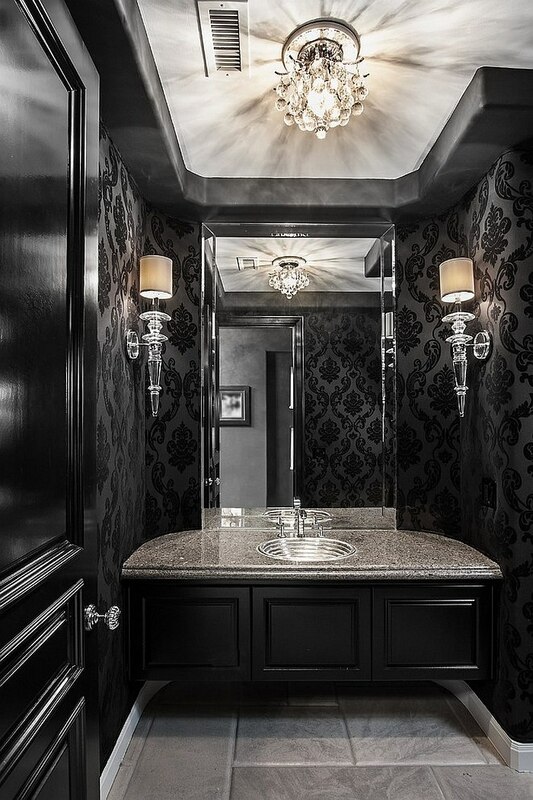 The mirror above the vanity does help in this regard, and by placing a large window or pendant on the opposite side, you will enhance the aura of the dark bathroom. 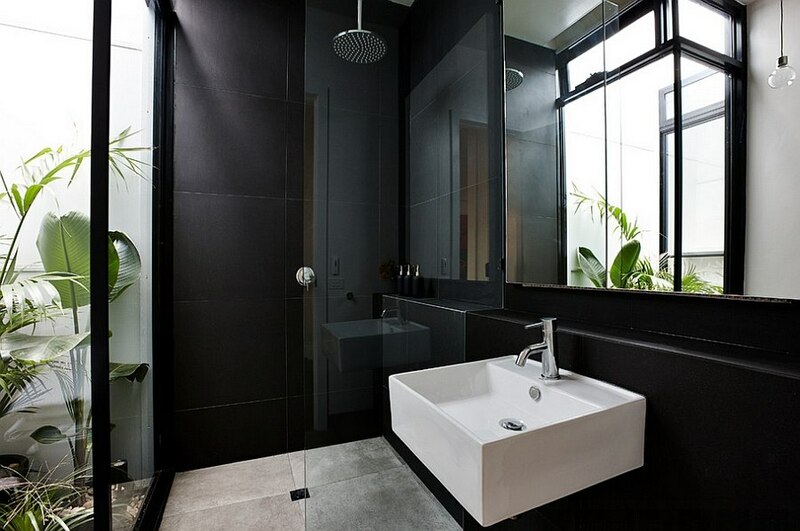 Black is also perfect for bathrooms that open up towards a private backyard or the view outside using large glass doors. And if you love additional opulence, bring in a sleek fireplace to create that stunning, fiery focal point that also acts as an additional light source. A sparkling modern chandelier and some carefully placed recessed lights complete the look. 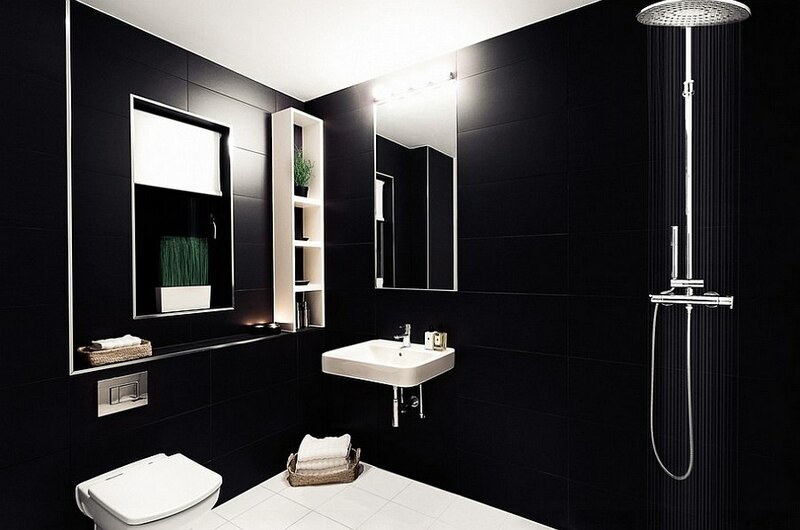 If you are still a touch wary about using black in the bathroom, start with the classic black and white approach. Adding white is an easy way to visually bring balance to the dark bathroom. 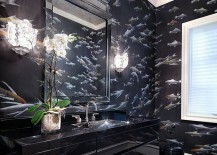 You can use it in a restrained fashion and let black take over and set the mood. 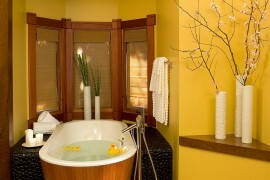 While it can be tempting to flood the room with white, remember that the idea here is to use it as a harmonizing hue. 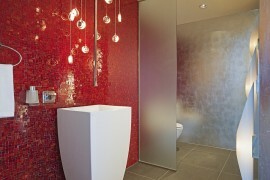 Throw in a hint of gold to add glamour to the space, or turn to pops of red for some excitement. Both the colors work brilliantly with black.